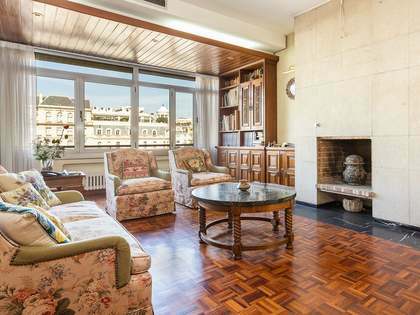 Fully renovated 145 m² apartment for sale next to Plaça Francesc Macià. 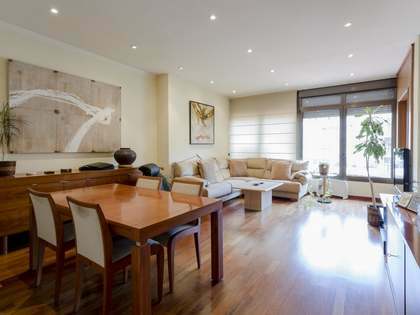 This wonderful apartment of 145 m², renovated with the best quality finishes, is located on the principal floor of a building just 2 streets from Turó Park, in one of the most privileged areas of the city. The renovation is of a high standard, in which finishes, and materials of the highest quality have been used. 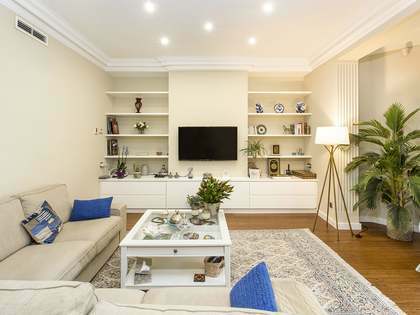 The property has been renovated to create spacious rooms with natural light and a neutral and natural colour scheme that creates a pleasant, modern home. What's more, the property is very competitively priced for an area as sought after and exclusive as Turó Park. Upon entering, there is a comfortable double bedroom. To the right, a corridor leads to another 2 double bedrooms with private bathrooms, one of them with access to a nice balcony. We also find in this part of the apartment a complete, contemporary style bathroom. At the end of the corridor, the property offers the day area, consisting of a spacious living room with an excellent open kitchen which is equipped. This room, a warm and pleasant space, also has access to a 6 m2 terrace: the perfect place for a table and chairs and to enjoy the privileged Mediterranean climate. Currently, the property is in the process of being renovated and will be delivered ready to move into once the renovation is finished. Note that the images shown are renders of the renovation project. Contact us for more information about this excellent opportunity next to Turó Park. 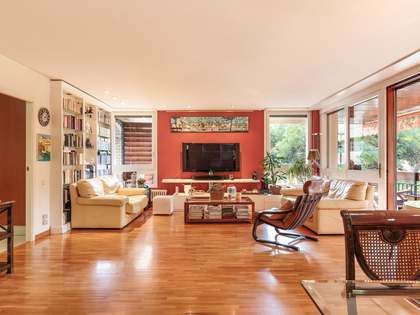 The property enjoys an enviable location next to Turó Park, one of the best known green areas of the city, perfect for sports, family days out, or just to relax. In addition, the apartment is just 2 minutes from El Corte Inglés and 10 minutes from L'Illa Diagonal, where all of your shopping needs are covered. This neighbourhood is known for its exclusive and residential character, offering quiet streets, shops of all kinds and excellent restaurants apart from providing all the necessary services to live comfortably on a daily basis. It also enjoys a good public transport network to easily move around the rest of the city.